In September 2014, Lithium Australia NL (‘LIT’) announced the commencement of the Coolgardie Rare Metals Venture (‘CRMV’), a joint initiative with Focus Minerals Limited to explore lithium prospective holdings in the southern goldfields of Western Australia (Figure 1). Figure 1: Coolgardie Rare Metals Venture tenements. Under the terms of the venture, LIT will sole fund exploration to the point of committing to a definitive feasibility study within five years of the commencement date, at which time the CRMV will be replaced by a contributing joint venture (80% LIT, 20% Focus Minerals Limited). The CRMV tenure covers pegmatite swarms known to contain lepidolite (lithium mica), petalite (lithium aluminum silicate), tantalite (an oxide of iron, manganese and tantalum), pollucite (cesium zeolite), beryl (beryllium silicate) and other minerals that may be of commercial importance. The lepidolite is most abundant at Lepidolite Hill, where, in addition to lithium, the mica contains high concentrations of rubidium. The CRMV also covers Tantalum Hill, a well-documented tantalite occurrence. Fieldwork commenced in September 2014, the focus being Lepidolite Hill, where mining during the period 1971-73 resulted in an open pit 150 metres (‘m’) long, 60 m wide and 15 m deep. Spoil from the pit is dumped nearby. 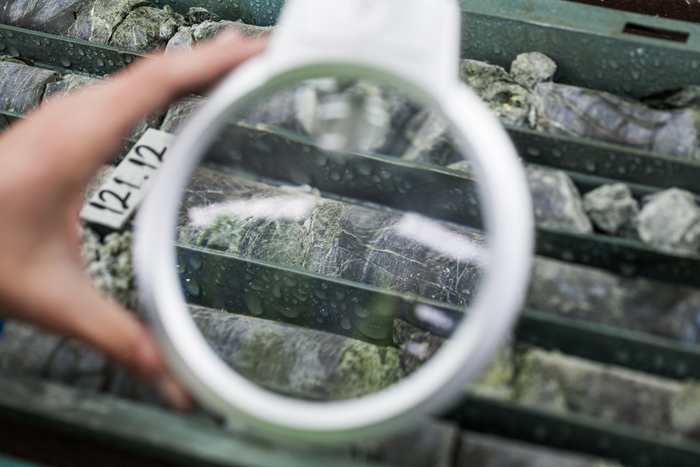 It contains abundant lithium minerals, bulk samples of which were collected and dispatched to Perth for evaluation of lithium and rare metals (cesium, rubidium, gallium, tantalum and niobium). In order to determine the lithium, rubidium and potassium grades in material rejected by prior mining operations, the samples were crushed, homogenised and subjected to flotation to produce a lepidolite concentrate. Initial indicative test work produced encouraging results, in that the flotation concentrate contained the following. In August 2015, lepidolite from the dumps at Lepidolite Hill was used as feed material in a 10-day continuous mini-plant processing trial completed at a Perth laboratory. The trial was conducted using processing technology licensed to LIT. It led to the production of a total of 7.7 kilograms (‘kg’) of high-purity lithium carbonate (99.57% pure), with 94% recovery from leach liquor. In September and October 2016, LIT announced that ANSTO Minerals (a division of the Australian Nuclear Science and Technology Organisation) had successfully applied the Sileach™ process to extract lithium from lepidolite ore from Lepidolite Hill. The pilot plant operated robustly, producing 6 kg of ~99% purity lithium carbonate concentrate (see Figure 2). It also provided further engineering design data for the Sileach™ process. Figure 2: Lithium carbonate produced by ANSTO from Lepidolite Hill ore. Soil geochemistry was undertaken in areas around the Lepidolite Hill workings in the latter part of 2015. 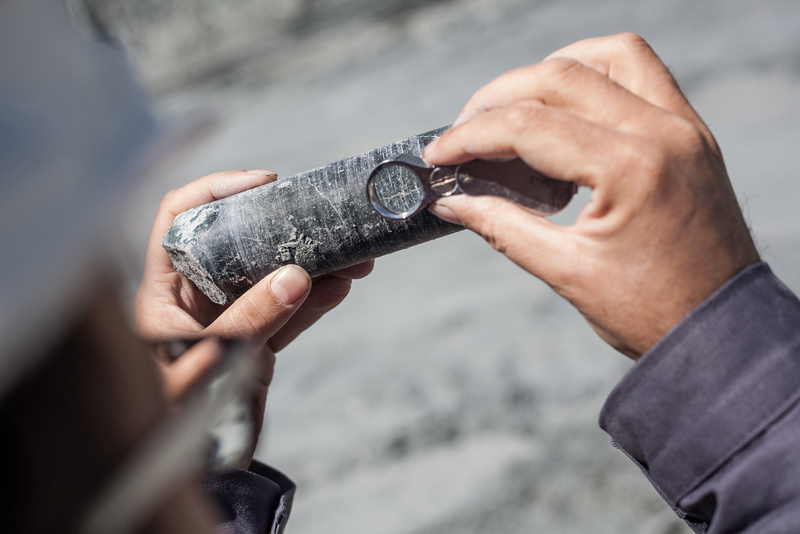 Using a Niton field-portable X-ray fluorescence device (XL3T), pathfinder elements were successfully trialled to indicate prospectivity (lithium cannot be detected by field-portable XRF). Highly anomalous indicators are strongly suggestive of the potential for repetitions of lithium-rich pegmatite mineralisation well beyond the historical boundaries of the mine and the dumps (see Figure 3). Figure 3: Lepidolite Hill ‘heat map’ showing zones of high prospectivity (red and white) to the north, southwest and east of the pit. In early 2016, LIT submitted a Programme of Works (‘PoW’) for approval by the Western Australian Department of Mines and Petroleum. That was the first stage in recovering about 1,500 tonnes of lepidolite from the Lepidolite Hill workings for further metallurgical testing. This year, test work on pre-sorting of products from Lepidolite Hill indicated successful separation of lithium micas using an X-ray transmission ore-sorting method (ASX: LIT 18 April 2018). Chemical analysis of product and waste streams supported the successful partitioning of lepidolite lithium (more than 90%) in ore-sorting product versus ore-sorting reject material. On the basis of those initial results, LIT considers there is not only the potential to separate out lepidolite from surface stockpiles but also to undertake further exploration at the project, targeting possible in-situ lithium resources outside and/or below the historic open-pit mine workings.